Get your grill in shape with the Great Scrape! The Great Scrape Woody Shovel. YBLTV Review by DIY Pipeline. Get ready for BBQs, football and outdoor grilling! Except I hate cleaning BBQ grills. Wire brushes leave bits and pieces that I’ve discovered in the food I’ve grilled—which means soap and water scrubbing after cleaning the grill rack, or else it’s Steak ala Wire. The Great Scrape Woody Shovel, YBLTV Review by DIY Pipeline. Clean BBQ Grills with Hardwood? When I saw The Great Scrape’s Woody Shovel, I have to admit I was intrigued. A hardwood scraper! Could it really work? Only one way to find out…I put it to the test. The idea behind The Great Scrape is forming custom grooves on the scraper that match your grill rack. That I found, was a little easier said than done. I fired up the grill, and when the coals were burning and the grill rack was nice and hot, I began to scrape. Scraping slowly over hot coals was a bit warm, to say the least. And putting pressure on the Woody Shovel hardly made a dent at first. It took several passes to make an impression on the hardwood scraper. What’s more, maneuvering it to ensure a single set of grooves took some work. But with persistence, I began to get one set of grooves that matched the grates. With more grilling episodes, I should be able to get the groove depth illustrated on the packaging. The Woody Nub, 16″ x 4 3/4″ x 1″, designed for smaller grills. Think camping or tailgating. The Woody Paddle, 20″ x 4 3/4″ x 1″, designed for extra reach to get under warming racks. The Woody Shovel, 20″ x 4 3/4″ x 1″, designed with an open handle for extra leverage plus a length to keep fingers away from the heat. 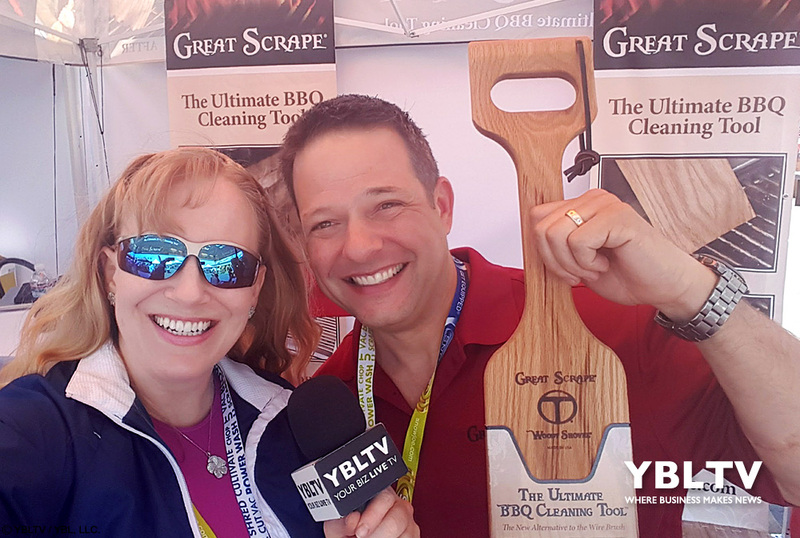 Jason Thompson, Owner, Thompson Brothers & Company LLC – The Great Scrape – with YBLTV Anchor, Erika Blackwell. The grill: I think the Woody Shovel would perform extremely well on rectangular racks, much easier than on my Weber’s round one where the center cross grate could stop the shovel midway if the grooves get too deep. However, the design of the Woody Shovel itself may not permit excessive grooving. Groove pressure: Customizing the grooves on the Woody Shovel may be easier for some more than others, depending on personal strength. Scrape-ability: The Great Scrape’s Woody Shovel cleans grates well even when the Shovel is not deeply grooved. Advantage over wire brushes and metal scrapers: The Woody Shovel definitely removes build-up easier than metal scrapers. I think wire brushes get into places that the Woody Shovel is unable to reach, but the metal leftovers leave a whole different problem. Objections: Customizing the grooves above very hot burning coals: concerned that deeper grooves will stop the Woody Shovel midway at the cross grate on round BBQ grill racks. Don’t forget to Enter To Win our Great Scrape Woody Shovel YBLTV Giveaway above! Disclosure of Material Connection: YBLTV Writer / Reviewer, DIY Pipeline received The Great Scrape Woody Shovel for free from The Great Scrape in consideration for a Product Review. 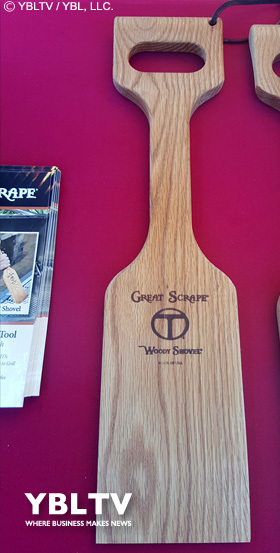 The Great Scrape was an Exhibitor at the 2017 National Hardware Show in Las Vegas, NV. Please note that this post was originally published on 8/9/17 before a YBLTV Giveaway was added – Thanks Great Scrape for your awesome Giveaway! 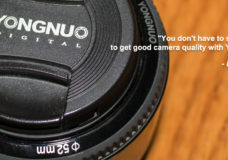 Yongnuo 50mm F1.8 Lens Under $100?